Come Enjoy The Splendor That is Legacy Dunes! 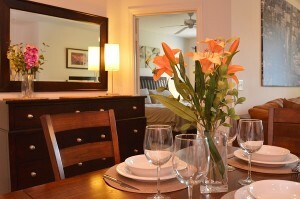 Relax and Recharge in our Fun Themed Condos! Tropical Beach Style Walk-Out Swimming Pool! 2 Bedroom Condo. 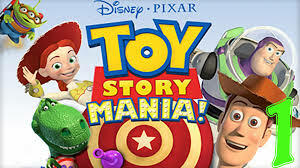 #9-104. Minions in America Water View Condo. Outdoor Activities For Everyone To Enjoy! Come enjoy the tropical tranquility that is Legacy Dunes Resort. Relax in luxurious accommodations that include a variety of amenities, including a tropical beach style walk out heated swimming pool, kids water splash pad, ping pong and air hockey game room. Want more choices, spend another day sitting in the sun, reading a book or swimming laps at our second swimming pool area. Let your young kids enjoy some good old fashion fun at our new playground featuring swings, slides and a rock climbing wall. Stay active and fit by exploring the many acres of lush landscape and scenic nature trails. 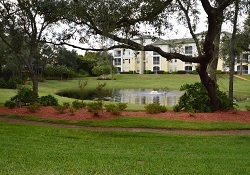 With three large lakes and ponds, there is always sometime to look at and enjoy on a morning jog or an evening stroll. Legacy Dunes invites you to a game of tennis, volleyball or shoot some hoops on one of our many courts. Being so close to so many professional golf courses, we can help you prepare for your game with a golf chipping green and a golf chipping cage. If staying fit indoors is your thing, we have that too! An air conditioned fitness center centrally located at the Clubhouse, provides several pieces of equipment and two flat screen tv’s to enjoy during your workout. There are plenty of activities to do without even leaving our resort. 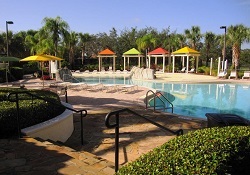 Legacy Dunes Resort in Kissimmee boasts 488 condominiums. Your family may choose from any of our one, two, three or four-bedroom fully furnished condos featuring spacious living rooms, dining area, a fully-equipped kitchen with a microwave, refrigerator, range, dishwasher, coffee pot, blender, cookware, dishes, glasses and more! A washer and dryer inside the condo. Each condo has been designed with comfort, style and convenience in mind. Comfortable beds, upholstered furnishings, and decorative accessories provide guests with a home away from home feeling. Condos range from 630 square feet to 1450 square feet. When it’s time to go out and enjoy the attractions, you are just minutes from hundreds of restaurants, shops and activities! Just 4 miles from the Disney Maingate, makes Legacy Dunes your best choice for your family vacation. 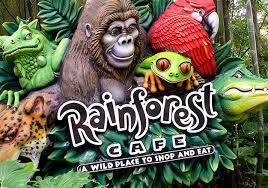 Disney’s four theme parks, 2 Water Parks, Disney Springs (Downtown Disney) and Restaurants are just minutes away! We are centrally located to all your favorites: Universal Studios, Sea World, I-Drive Attractions, Wet’n’Wild, Old Town, Gatorland and Legoland Florida! Do you enjoy playing Mini Golf, Dinner Theater Shows, Movie Theaters, Award Winning Golf Courses, Touring Wineries, Picking Fresh Fruit, Exploring Historic Towns? Well, we have all that close by too! Like to Shop? Stop by either of the two Premium Outlets, Millenia Mall, Florida Mall, Rolling Oaks Commons, The Loop, Winter Garden Village, Clermont Landing, Posner Park, Local Downtown Shops and Area Gift Stores. Like to Eat? Who doesn’t! Choose from thousands of fine dining, casual dining, buffets and fast food restaurants located just minutes from Legacy Dunes. No need to go far for a choice of 5 Publix Supermarkets, Walmart Grocery, Target Grocery and a WinnDixie Marketplace. So if that doesn’t convince you – Than what will? For the most memorable Florida vacation that provides more value and is better than any hotel experience, Legacy Dunes Resort is the perfect place for you and your family. So come laugh, play, swim, sunbath, sleep, eat and create the dreams and smiles that last a life time! 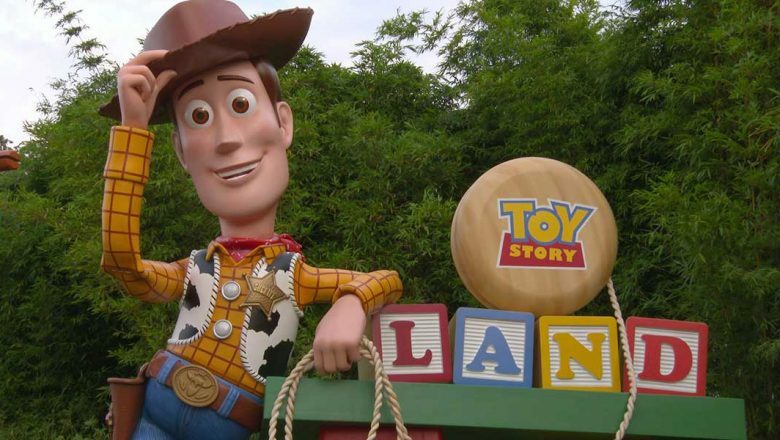 Toy Story Land at Disney Now Open !